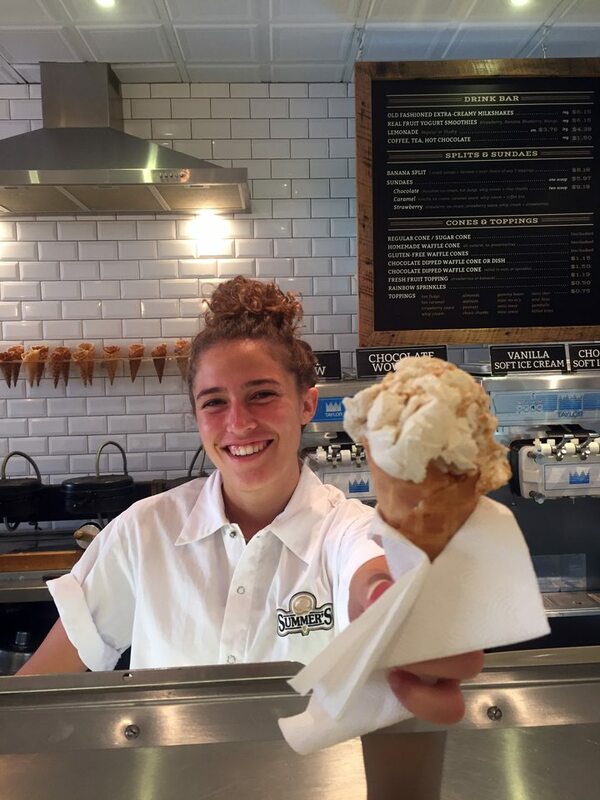 Walking along Yorkville Avenue on a hot summer day, your nose may get a whiff of something unexpected and delicious. 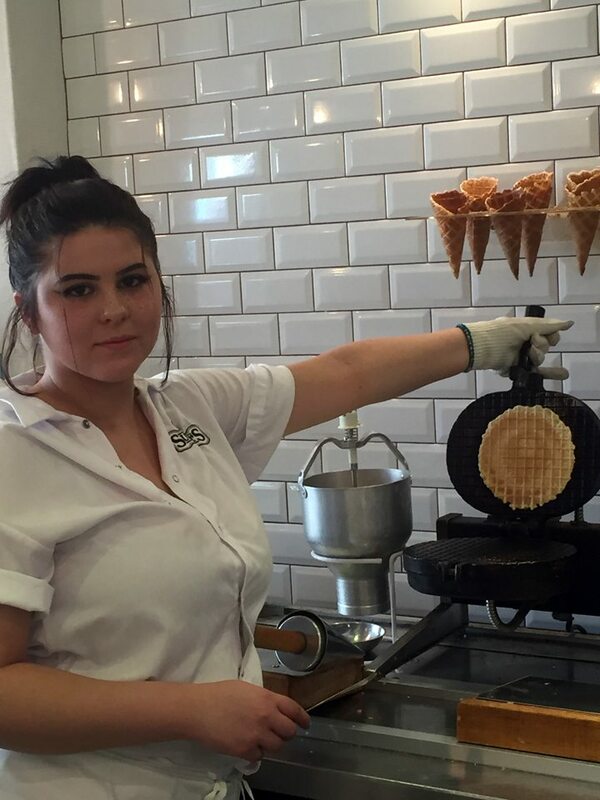 It’s the sweet scent of waffle cones being freshly made by Summer’s Sweet Memories, where folks can choose from a menu of 24 different flavours of homemade ice cream and frozen yogurt. The brightly-decorated shop is aptly named, and has the feel of a classic ice cream parlour popular in the 1940’s, before prepacked ice cream was sold in supermarkets. The nostalgia is known to many, but new to young consumers, who take delight in reading the funny ingredients in some of their flavours. The Almond Butter Toffee comes with a warning that the flavour is highly addictive, while the Toronto Pothole boasts road tar and gravel among their ingredients (after almonds, marshmallows, peanuts, and chocolate chunks). When in season, Summer’s uses Ontario fruit (strawberry, blueberry and even rhubarb), and they strive to use fresh ingredients, making this ice cream taste delicious! Summer’s was founded by Len and Helka Tokey in 1984. They started with a small storefront on Cumberland Street, expanding to four locations with a retail and production hub in the west end, plus three additional retail outlets. Eventually, the stores amalgamated to a single storefront, where it currently operates at 101 Yorkville Avenue. Always community-minded, Len Tokey sat on the Bloor-Yorkville BIA Board for many years, bringing the never-ending debate of traffic issues to the table. In 2007, Len and Helka’s son Ron, and his wife Lianne, purchased the business from his parents. 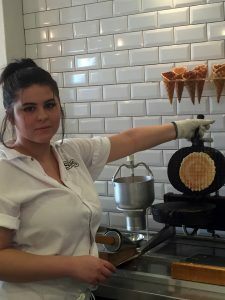 Ron started managing the Yonge and Dundas location at the age of 15, and together they have continued to grow the business online and outside the Yorkville location. 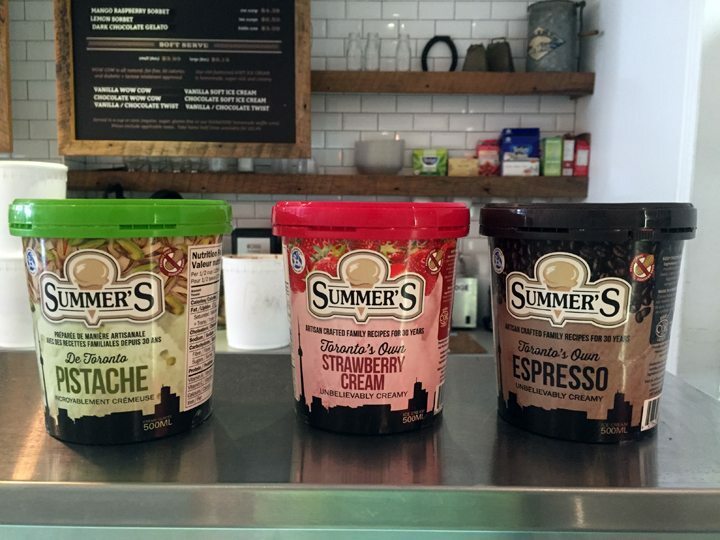 Summer’s ice cream can be purchased in many grocery stores, both in and out of the GTA. 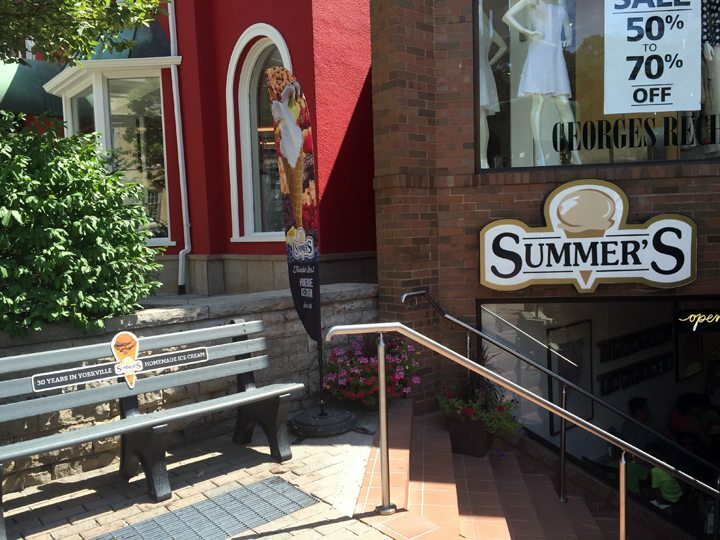 Visit Summer’s Sweet Memories for your cool treat, and post that @BloorYorkville brought you there!